Like every relationship turns most fruitful when it is equitably nourished from both the directions, similarly, I believe, we owe our genuineness to our mother nation too, to be able to reap the rewards of being called it's legitimate children. Thus, ever since I commenced my career in 2003, I made it a point to pay my income tax without fail. It was my belief, that this was the smallest contribution I was making to my Govt. 's earnings to be able to kick start worthy welfare initiatives for the betterment of it's citizens. This definitely had much to do with my banker dad's teachings from the time I was quite young. He has always categorically despised and expressed his displeasure towards the tax cheaters or electricity thieves etc. as he told these small evasions added up to the major shortfall in the implementation of good projects by the Government, who we easily held responsible for all our infrastructural and other woes. Hence, when I myself started earning, I sincerely practiced honestly in all my deeds, including the filing of income tax return each year as a mark of gratitude to my dad and my mother nation. On the other side of the coin, if my ITR is filed adequately, it registers me as a responsible citizen in the database and applying and acceptance of loans, visa applications etc becomes way too easy. Once you start viewing paying your income tax as your duty towards your country exactly the way you fulfill your duty towards your parents, spouse or children, you won't anymore treat it as a burden. If you so wish to give an excuse that you didn't file the ITR because it's a tedious process, my answer is gentleman, sorry, you are not updated. It only once upon a time was so cumbersome, today with the aid of e-filing with H & R Block , you can do it instantly just with the help of a few clicks, that too absolutely free. All you got to do is register with them and enter your personal information. 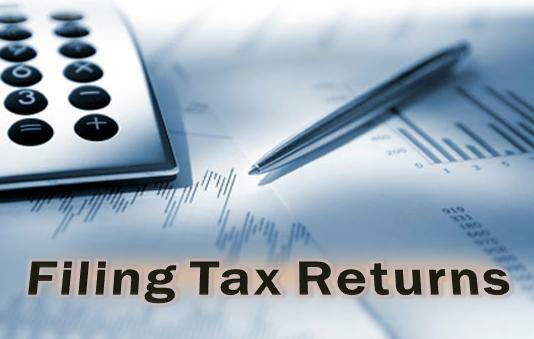 Upload your Form 16 and other incomes, enter your deductions, answers some quickies, review and e-file and it's done! Can it get simpler folks. So no excuse please. Weighing the pros and cons, don't you feel it's time for us to be responsible citizens and take the onus of making our motherland a place worth living, on our shoulders and also secure a glorious future for ourselves. Truly a win-win Situation for both sides. Take the #TaxPledge and file your Income Tax Return now.And like I said, a sure shot way to make it the easiest, e-file it with H & R Block. 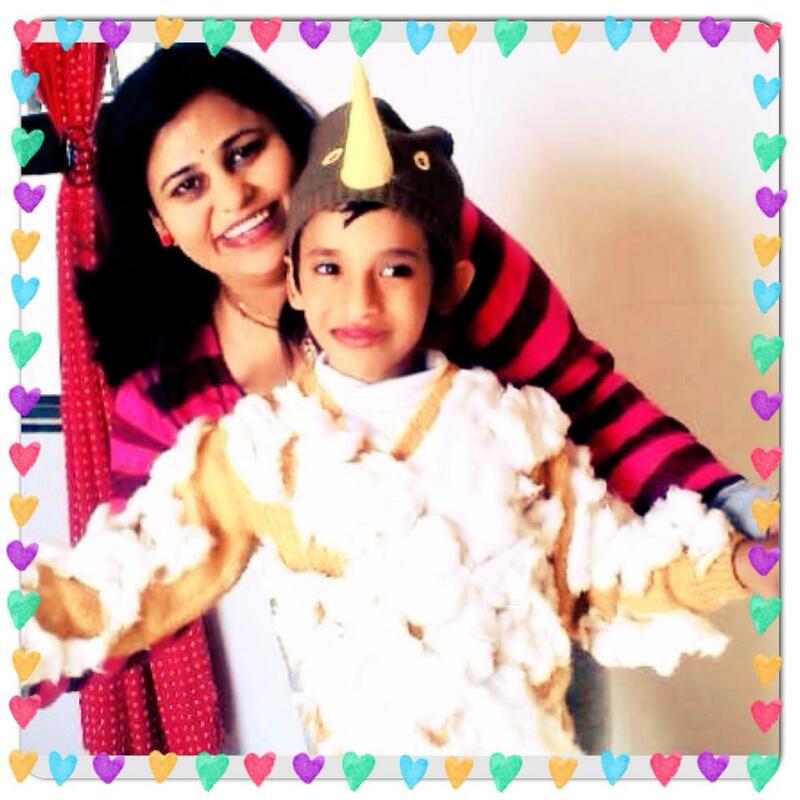 Last year, about the same time, when monsoon confined tiny souls indoor and prevented them from play, I and my little sonny, had a great time, with my little boy going wild in his imaginations and weaving awesome #ColgateMagicalStories. It was truly a pleasure to present My Little Angel's Masterpiece as my first ever Vlog last August. It undeniably satiated a mom's soul as for the first it was not me who was telling him a story but it was vice-versa. Thus, no points for guessing that when we learnt that the new Colgate Strong Teeth packs are out with Sea Creatures and some related trivia inside in 4 different types of packs, the first one to jump out of bed was my tiny darling who could not hold his excitement to peep through the magical boxes and let loose the horses of his imagination. I admired the spark in his eyes and actually earnestly looked forward to his innocent and awesome stories, promising him that he can have the packs next day when he is back from school. Sharp at memory, little sonny rushed home as he got down from his school bus. His charming grin revealed that only a 10 minutes quick lunch( which I would not let him skip under any circumstances) lied between him and his Colgate Magical Stories Sea Creatures. Here you go! 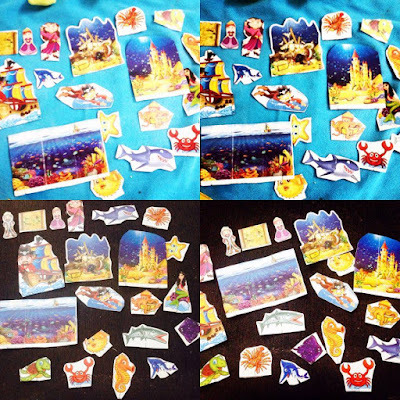 Excitement was undoubtedly in the air as he dived into his own world of marine fantasies with the super cute sea creatures , characters and some lovely backdrops for the lovely stories that would soon be born. 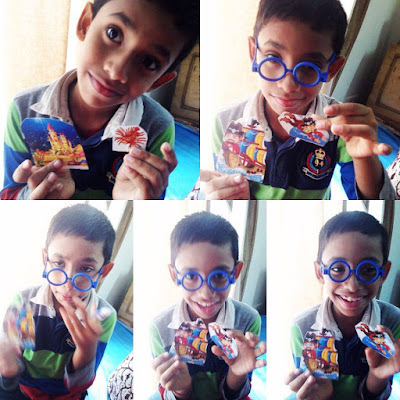 The smart mommy in me decided to gift my 7 year old more independence this time with scissors (though I knew his cuttings may lack the finesse but practice makes a man perfect) and he took about an hour cutting the characters and assimilating them post which we had a candid discussion around each picture. His cute stories set on various backdrops and layouts, he chose each time, stole my heart and I myself got smitten by the charm of the characters thus becoming a child myself. I recorded his lovely expressions when he endlessly keep narrating the lovely tales using the well conceived sea creatures, grinning and posing in between..
"Once upon a time, a King and Queen lived in a magical castle near a vast sea with his prince and princess. The little prince was very sharp and always imagined to become a sailor when he grows up and discover new islands and treasures hidden there in. When he grew up, one day the King became seriously ill and there was not much money left with him to run the kingdom. He called up the prince, that is me, the black bearded man, and handed over a map to me. He told me that this map will lead me to an under water treasure but the sea is full of dangerous creatures. However , if I will stay kind to all of them, the Queen Mermaid who sits by the treasure will save me from all dangers. Bidding bye to my dad, mom and sweet sister who kept looking at me thru' binoculars, I sat out on the sea. For 3 days, I sailed in the right direction when a huge storm hit my boat and broke it to pieces. The huge waves swept me to a long distance and guess what, when I opened my eyes, I was surprised to see a beautiful glittering underwater castle in front of my eyes. It looked exactly like the one , I have seen in the map dad gave me. Without much adieu, I looked around and found the huge box of treasure. My heart was so happy, I have found the treasure. But alas, a huge octopus sat on it! I remember what my dad taught me, I gently removed the octopus from it without hurting it the least and took the treasure. I also ensured none other sea creature got hurt in my act of removing the huge box.The Queen Mermaid was impressed by my kindness and arranged for me and the treasure getting dropped back. My dad, mom and sister were so happy to see me come back safe with the treasure and we lived happily ever after with the people of our kingdom being happy too." I loved his admirable innocent tale and in my heart expressed a strong gratitude to Team Colgate for coming out with this truly adorable concept of #ColgateMagicalStories where the kids not only easily learn to imagine but also worthy human values like taking care of your family, get so deep imbibed in them in such a simple manner naturally. I so much recommend these Sea Creatures Themed Colgate Strong Teeth Tooth Paste Packs to all mommies not only for the lovely stories churned by the creative creatures on the outside packs but also the unparalleled protection of Colgate to our teeth for generations. I know I am quite late but I owe this to Blogchatter for a long long time and better late than never. This is my 200th post and so I decided to mark it as my tribute to Blogchatter, a really worthy community of Blogging Buddies, if I can put it that way. I am sure if you don't already know about them, you surely would be interested. 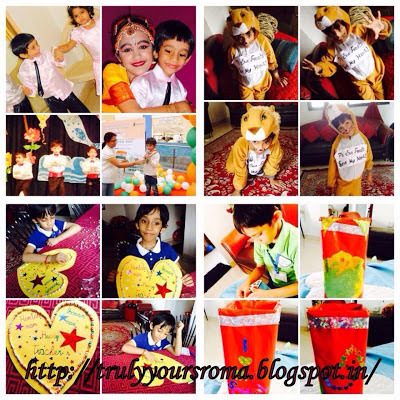 While we bloggers know how to create magic with words, Blogchatter grooms us in how to spread that magic in the world. They invite experts on their weekly chats on Twitter where we bloggers can directly interact and not only get out queries resolved but view some not so trodden but significant roads for us to flourish. They also beautifully integrate the bloggers across different genres and motivate engagement and promotion of each other. Their awesome campaigns and the integrity with which the Blogchatter Team runs it deserve a huge round of applause and I really mean it as have reaped a lot of intangible benefits by being its part for over 4 months now. Today, I really value my association with it and thank it for giving me some really lovely blogger friends who are equally good human beings. 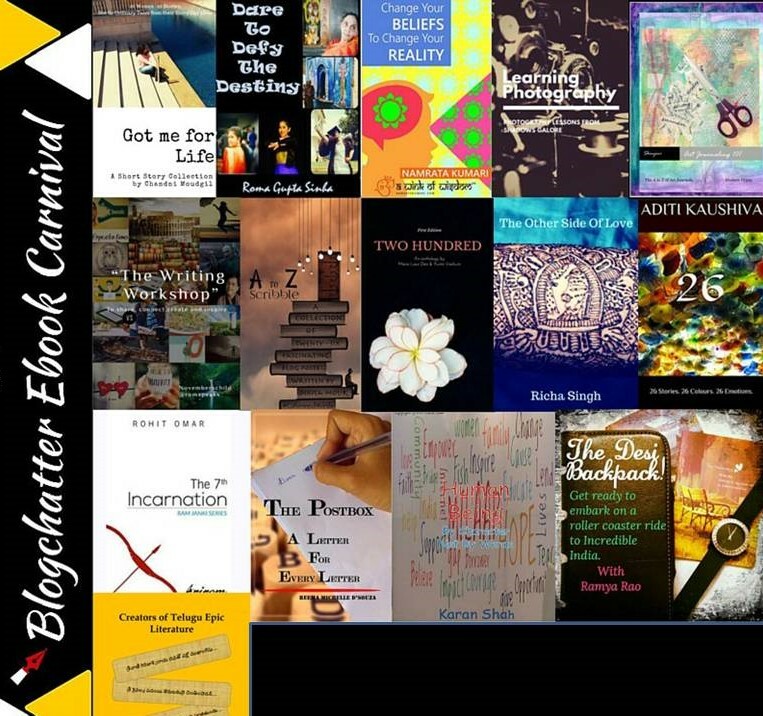 In the month of May, Blogchatter successfully ran a Mega E-book Carnival where a number of bloggers published their E-books. It was a pleasure reading these diverse books and I am sure I have read almost all of them even if that was a while ago and in this post I review 3 of my favorites in different categories so that you also get a flavor of how rich and diverse the Blogchatter Ebook Carnival has been. If time would have permitted , I would have in-fact felt really honored to review all of them here. I picked this one first as I am a compulsive love story reader and like to devour every single piece I can lay my hands on. Trust me this one turned out to be a real stunner for it depicted beautifully the intricacies of practical and impractical problems that crop up when two women fall in love with each other. It shows the human imperfections as well as their hearts draped in lovely but contradictory emotions. It's a candid portrayal of a wonderful love story of Radha and Sangeeta by author Richa . An absolute Must Read, it surely stands out of the rest! I loved this book as like author Ramya, my dad too got transferred a lot and my love for travel grew. This book made a great read and I loved to see India through her eyes. I could assimilate a lot of warmth, a lot of learning and a lot of knowledge in between the lines. Written with a lot of heart and soul this book not only takes you on a tour to important cities and their heritage, in India but also offers great pieces of travel advice at regular intervals. 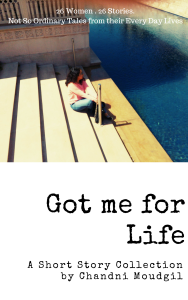 If you are a travel junkie like me, you surely will enjoy and relate to this one a lot. I loved the variety in which she served the chapters to her readers. 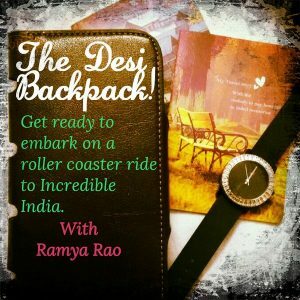 Ramya surely has all the essential ingredients to make it to being a Top Travel Blogger one day, I wish her all the best! Ahh, I was truly elated to read this book not only because of the earnest stories of the 26 women it speaks about but also due to the beautiful style of expression of author Chandni. I was smitten by how she weaved characters so beautifully that I automatically got driven into them, one after the other. I imagined myself in a few of them and many others I was forced to believe I knew for sure. That talks about how good a story teller, the author is. Some of the stories like 'Everlasting Love', touched my heart and I only wanted to keep reading. I highly recommend this book to everyone! For the past few years, Goa has almost become our second home with its incredible beaches and heart-warming hospitality which calls us back with open arms at least bi-yearly. My precious half, me and our little boy are all crazy of the extended coastlines and love the all-engulfing majestic waves and thus we are found more often than not on the not so crowded and wonderfully picturesque Candolim Beach. Just a 100 yards on the Candolim Beach is our Resort Radisson Goa which is a perfect place for anyone to put up no matter what parameters he is looking for. 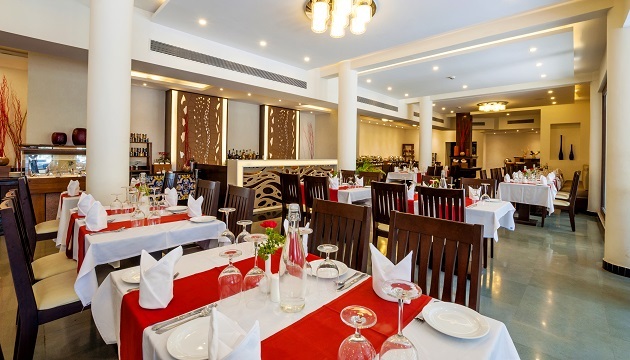 Not only in terms of its nearness to sea but also in terms of the facilities it offer is surely is par excellence for the fortune it charges on it's guests. 1. 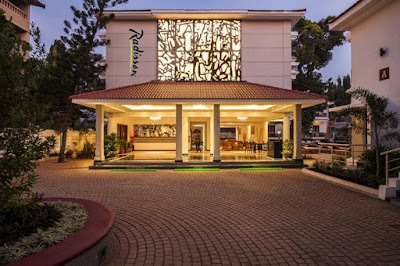 Approach and Location: Radisson is located in North Goa adjacent to Candolim Beach and only a few kms from Calangute and Bagha Beaches, the main attraction of Goa. 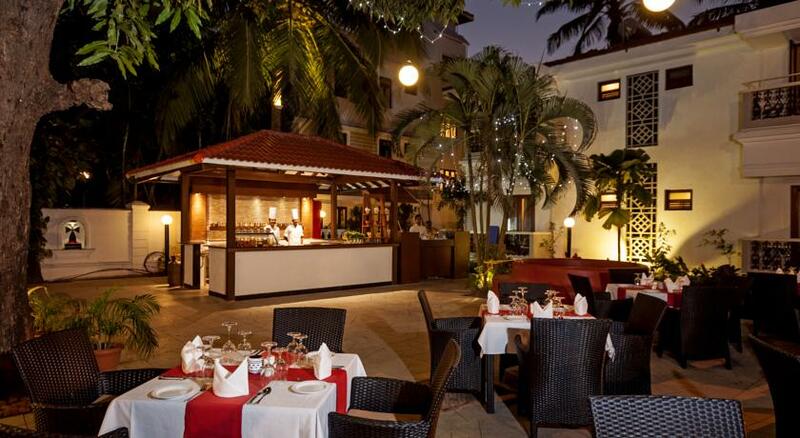 It is well connected too as it is on the main road surrounded by some of the best eateries and shopping hubs. 2. 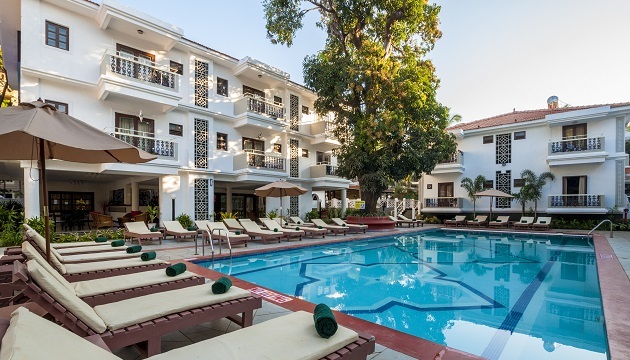 Quality of Rooms: The hotel is mostly in the form of duplex villas with spacious well furnished rooms with attached balconies facing the swimming pool or the garden. 3. Swimming Pool and other Means of Recreation: It is a perfect place for my love of swimming to further flourish as it has a huge, clean and safe swimming pool and all of us enjoy the most soaking ourselves here while playing and splashing in crystal clear waters. A game of billiards or Table Tennis is what follows post which I pick up a book from their well equipped library to end my day with the reading ritual. Their hospitable and extremely helpful staff is present at all locations to help us make the best of every moment. Complimentary Wi-fi for 2 of your devices is free for us 24 hours too to aid us stay connected with the external world, if we so wish to. 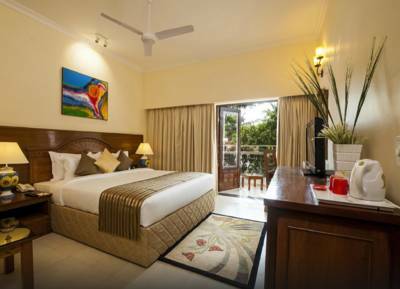 4.Tariff: Their are a variety of rooms from medium to high budget whose off season rates fall drastically. Pick the best combination of dates and tariffs to make the most of a holiday well spent at the right cost. 5. 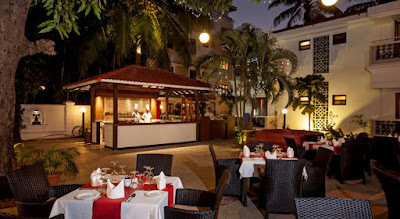 Food and Room Service : Radisson Candolim has two restaurants one indoor which serves both ala carte as well as buffet menus and the other is an open air bar on the side of the pool open in evenings and night where they play live band and sing the songs you request them. This turns the whole experience so relaxing and romantic. 6. House-Keeping and Help-desk: They have an alert and quick housekeeping team who are ready to help when u seek. Also, I need to mention they have a very well defined procedure for every thing for when I forgot one of my travel bags full of clothes there by mistake, they were quite responsive and quick enough to courier it to me. Though I bore the courier charges, which was fair enough, I was so elated to get back my travel bag as it contained some of my favorite outfits, I dreaded to loose. The gentleness of the team there and the perfection with which they have maintained the property, makes me rate it really high and recommend it to everyone visiting Goa and is looking for a quality stay, extremely worth its tariff. It's our Birthday!! We are turning two next month. The journey wouldn't have been so fruitful without you, We thank you for showering buckets of love on us and wanna celebrate our special occasion with you. Yes, Straight From the Heart is extremely elated and proud to chip in a series of Worthy Impressive Sponsors for the many Giveaways lined up on our second #BlogAnniversary. With multiple winners and multiple Giveaways we will ensure your hard-work does not go in vain and the most deserving ones get gratified. 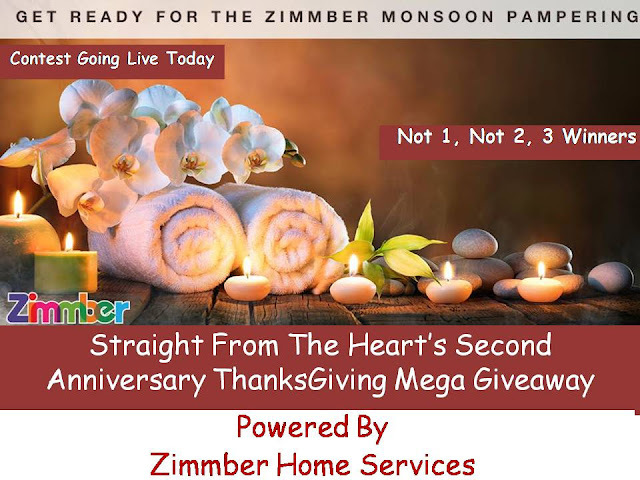 The First one #TheGrandThanksGiving #BlogAnniversary Giveaway powered by Impressive Home Services Giant Zimmber' goes live Today with not 1, not 2 but 3 Winners. The same shall be open on Blog(you can reply in comments below) and its Facebook, Twitter and Instagram handles. So Wishing you the best of luck, give your best and impress us and we have some real awesome surprises in store for you . 1.The Giveaway commences immediately and would end on 31st July'16. 2.The participants have to explore the Zimmber website or App and write to us which service they really crave to try on and why. In their reply they also have to tag 10 friends and Zimmber. I myself have tried a number of Zimmber Services and have adored the perfect result each time. 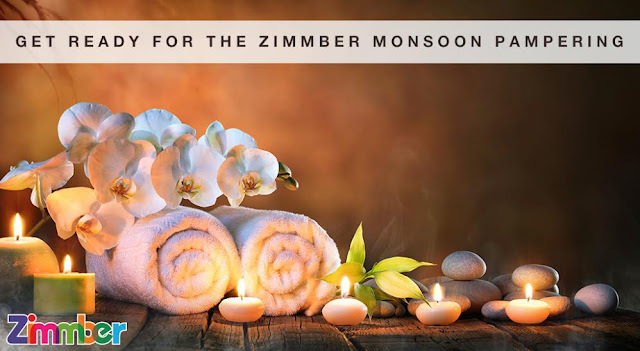 3.The best answers and the most active participants in creating the buzz will be gratified with the Special Pamper by Zimmber at their footstep by their Salon at Home Service or any other service of equal value. 4. The contest is open for all men and women internationally but the special pamper by Zimmber will be provided in NCR, Pune and Mumbai. 5. All earlier winners of Straight From The Heart Giveaways are equally eligible to win. 6. Please Follow Straight From the Heart and Zimmber on their Social Media Channels. We love to gratify our most loyal fans. It was a lovely morn and I was just taking a quick revision for my brilliant little boy, who has two exams today, when I overheard maa announcing sarcastically to everyone present in the hall, "Either the boy has no brain or she doesn't know how to teach,that they have to revise." This broke my heart for had it been any other grand mom she would have been proud of her 7 year old grandson's achievements both academically and otherwise at such a tender age. This boy is self-motivated and a child prodigy (in the words of her school's principal) , I just have to offer a little push and support to his dreams and we make such an awesome mom-son duo. But maa despises the fact that I devote two hours on his studies and other activities everyday and have got him into this wonderful habit of being regular in studies. I don't know but every time she comes around she points out that they never devoted any time on kids and all that they did was cooking and fulfilling the duties towards their relatives, three times a day. Never choosing to retaliate, I often bury myself deep in self-introspection. Please don't get me wrong, I value the extremely precious bond of a granny-baby but there are some valid questions that I seek an answer for. I am Ragini and have myself been a very sincere child who worked hard to excel at school and later professionally too. I have equally valued my relations and have balanced them all well except for maa with whom all went well till my baby was born. I lost my mom quite early so when I got My husband's mom as maa after our wedding 9 years ago, I was on top of the world. 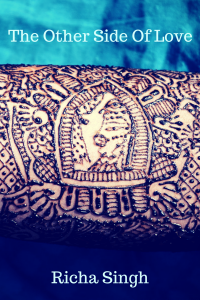 'Maa' yes I anointed her with this name with so much love. I loved and pampered her beyond all humanity and to whichever part of the world my professional assignments took me and overloaded with myself with gifts for her. To care and love was my innate nature and still is and maa loved all the attention and warmth. But the things changed, when my little prince came into this world. I became a juggling working mom. Despite of my hectic schedule, I loved to massage my baby, bath him, dress him up apart my regime to breast feed him, I did it all and loved it. I don't know what went wrong but maa went back to her hometown to live with her other son. Probably she didn't like that someone was getting a little more attention than her even if he was her own grandson and I was left in a lurch with frantically lining up at the maid agencies seeking a good nanny for my infant. It did hurt a lot, as to me she has always been like my mom and I had never expected my mom to abandon me in the most difficult transition of my life. Nevertheless, I respected her decision and for the next two years struggled with so many new maids to eventually give up my career of a Business Development Manager at the peak of it. No complaints, my child is my responsibility and I am ready to give him the best of nurturing at all costs. Never once did I regretted my decision for I believed I had the talent and the hunger to strike back whenever my kid and I were ready. Nor did I seek anyone's support it helping me raise him. With my husband mostly being abroad on assignments I pulled on my twin roles of a mom and work from home consultant decently well and am still doing so. My son is doing fine too and all seems so far so good. Except for when she is around, she suddenly finds me a bundle of failure. She still feels my giving up on my job was the biggest mistake of my life as kids grow up on their own. Probably she is right and may be we call this variation in thought process a generation gap. But if you ask me, I am unapologetic of all that I have done. For 2 years no one cared for my little angel, what he ate, where he slept when I had to report for my international assignments or when he got a sharp cut on his nose. The way my heart cried and bled that night, only I know. No one was to blame, but only him mom. Why bear a child, if you can't rear him? It's only when I took him into my arms and announced a resignation, the soul of a mom soothed. From that day till today I have dedicated quality time in his nourishment and well being though I am guilty of the loss in the first two years but the way he shines today in all the fields, I am glad I have set atleast a few things right. Yes, I confess I am unapologetic for all I have done so far for my kid and will always be so. He has giving a new meaning to my life and made every moment of it worthwhile, with his priceless smiles. I may be momentarily hurt by disrespectful remarks hurled but I don't see the need to rebuke or give explanations for now I find my world and peace in my inner being and in the warm cuddle of my little Mr. Wikipedia. When the negative energy around her breaks her down, what course must Radhika Take? Motherhood indeed is extremely precious and beautiful. Every single phase of being a mom brings in precious memories and right from the time a mom holds her tiny bundle of joy and plays with those tiny toes, she worries of the well being of her little one. Similar has been the stream of emotions tickling my heart when Lord Almighty blessed me with a cute little boy, seven years ago. It seems it was only yesterday that I was so inquisitive to learn the ideal composition of my diet so that my breast fed baby isn't under-nourished and looses growth. 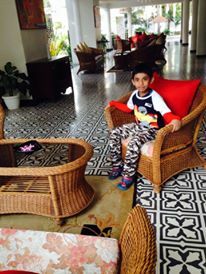 Post that phase, year on year, my little Angel grew and his tender wings needed the right nourishment to grow on strength and fly high and I am so glad I took the right decisions at right time to lay the foundation of good health right in his very formative years. Since I am a strong advocate of fruits and vegetables , I introduced a lot of soups , mashed fruits and ragi porridge very early on in his routine. As he grew up a little more I meticulously introduced egg and my own favorite from my childhood Horlicks to his milk, adding nutritious value and flavor to it and a wonderful taste to sooth my little boy's taste buds. I also never compromised on the value of having a balanced diet and always served lentils, chapatis, seasonal rich veggies, yogurt and salad to him, even before he learnt to eat on his own, to develop the habit. Today, he ensures I don't miss anything out of these, in his plate. In fact, I invariably also ensured that he never lagged behind in growth milestones of height -weight parameters and was timely immunized. A word of guidance from his pediatrician was absolutely essential too and I never let any preoccupation miss my routine appointment. There was a brief period when as a Pre-Schooler he got repeated bouts of cough and cold and made us very anxious as parents. This also made him a very fussy eater. We frantically searched for options to catch up on our child's lost growth where he did lag behind at that moment. But with timely intervention and best advice from elders and docs , we could gradually work upon his immunity and hunger and it is satisfying that today he enjoys a sound health. While I was always ensuring his physical well being, I made sure he grew mentally and physiologically too into a strong individual. 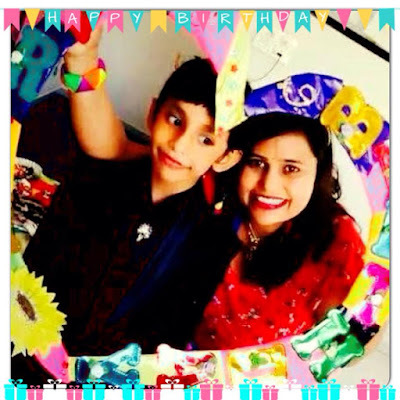 I sang rhymes and narrated stories to him even when he was in my womb and I kept adding devotional songs and soft music etc to my playlist for him, when he was born as I always believed that has some kind of positive impact on the kid. I also believed in sharing a lot of smiles and laughter together and continue it till present day, as it will always give him more emotional stability and trust on his parents. Another message I always keep reiterating to my fellow parents is that we must shun all notions that make us force our little kids to always keep studying and subject them to unnecessary comparisons. I practice this deliberately to the best of my abilities. I always let my tiny bud flourish in the nourishment of happiness and love and I am sure he will bloom into a beautiful flower at the right time. Today, he is seven years old and though I admit I still worry of his diet and physical and mental well being , I am so so glad he has turned out to be a really talented and healthy boy who takes keen interest in all activities alike may it be dancing, public speaking, a fancy dress or sports or arts and crafts apart from being sincere in his studies. 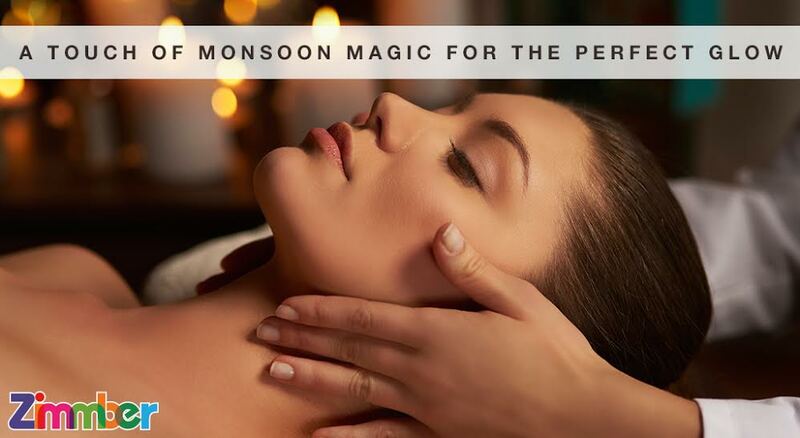 On a day when you are confined by crazy rain outside and the impending lethargy of the beautiful weather, wouldn't it be absolute bliss to be pampered at the comfort of your home by some of the perfect beauticians who are adept at their task. 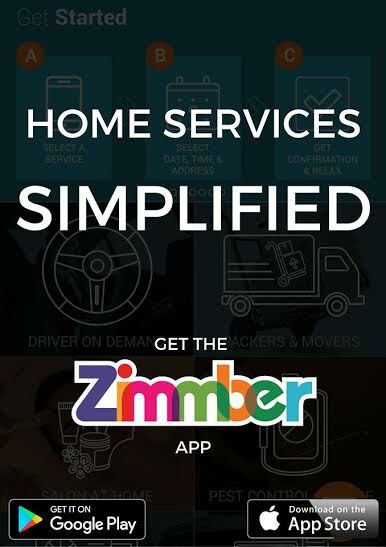 Yesterday was one such day where I decided to try on Zimmber Home Services. It was undoubtedly not a fluke decision as some of my acquaintances have tried them and have highly recommended them to me... But still seeing is believing and I went on to try their 'Salon at Home' Service. 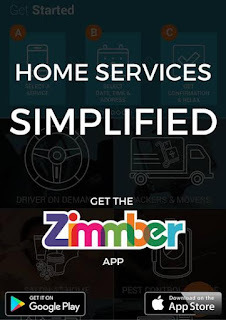 I used the Zimmber App to book an appointment of the same and post that l received a call from their executive who courteously made me aware of many fabulous Zimmber Essential Combos also aiding me to choose the best value for money deal for myself. She even streamlined that the best beautician reaches my place and dot on time. Thus the first impression was awesome. For the next 6 hours I am very sure I was in the most awesome hands.A bleach, facial, wax, pedicure, manicure etc helped my nerves relaxed. The best part was the lady didn't rush through things, her relaxed fingers felt perfect on my skin.I admit I caught a nap between her face massage which was quite unlike me.All in all it felt absolutely enthralling and I was too pleased with myself to have chosen Zimmber. Now you would think that such above par services would have come at a huge fortune for me. And that's where you are wrong, my friend. Zimmber Home Services are absolutely minimal in comparison to what I shelved at big parlors which invariably always bore a hole in my pocket. To just give you an idea, the package I mentioned above was only worth 1799/-. Now can you believe it! 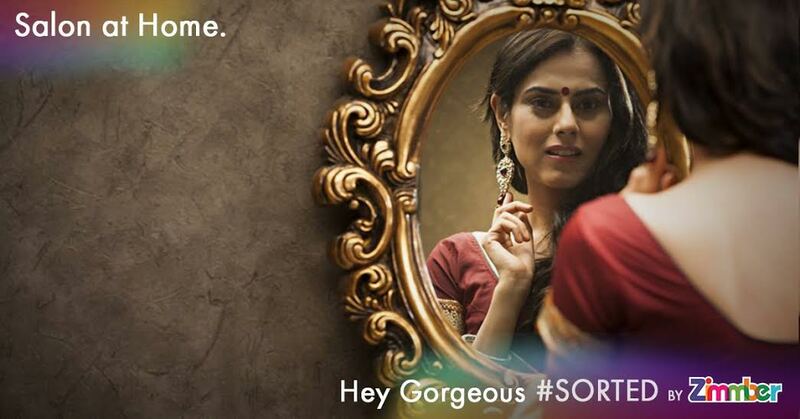 Isn't it such an awesome way to shower some self love on an otherwise dull monotonous day? I love rain and love to look lovely too (which is so difficult in this humid weather) and if someone just imparts me that gorgeous look in the cozy corner of my home , I am truly impressed. This infact coaxed me to explore Zimmber further and they turned out to be an absolutely worthy surprise package. Other than Salon at Home, they also provide home services for Washing Machine Repair, Refrigerator Repair, Microwave, PC, Laptop and Geyser Repair, AC and Carpentry Service, Sofa a Spa, Pest Control, Packers and Movers, Home Spa, Driver on Demand, Plumbing and Electrical Service, Color your Home and Carpet Spa. So actually they aid you in probably having every single service at your door step. Further impressed, I am. So now all I got to do it book an appointment on Zimmber and rest assured that only the best in that field would be at my service at an absolute affordable rate. I am so glad I decided to try on Zimmber, have you ? In case you are not able to hold yourself after reading my experience, click here. It's soon going to be two sweet n saucy years of mine in the blogging world and I cherish spending every single moment in this adorable community of intellectuals, my fellow bloggers some of whom have even become my best friends today. These two years have been the years of EVOLUTION for me where I have worked inch by inch carving out my small niche in their hearts and in the hearts of my esteemed readers. From only knowing how to write, I have learnt to adorn my Blog with medals and badges and to building my dedicated reader base. I have also learnt to harness the power of social media and blogging platforms to open new vistas for myself. But over a period I am kind of lost in all of them often unable to decide if I am genuinely investing my time in them or wasting 70% of in scrolling through things that don't interest me. The result is I miss on the guys and topics whom I would genuinely love to read and simply indulge in a like for like or share for share activity, which i despise from the bottom of my heart. 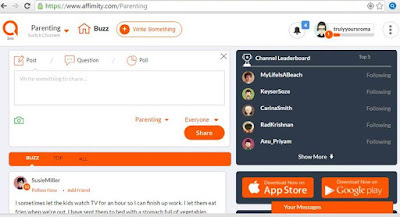 Thus when I came to know about AFFIMITY, an interest based social networking platform primarily for bloggers to get along with like minded people with common interests, it took me seconds to get on it. The initial navigation was smooth where I chose my favorite channels on it, the subjects that are close to my heart, out of its well laid categories. 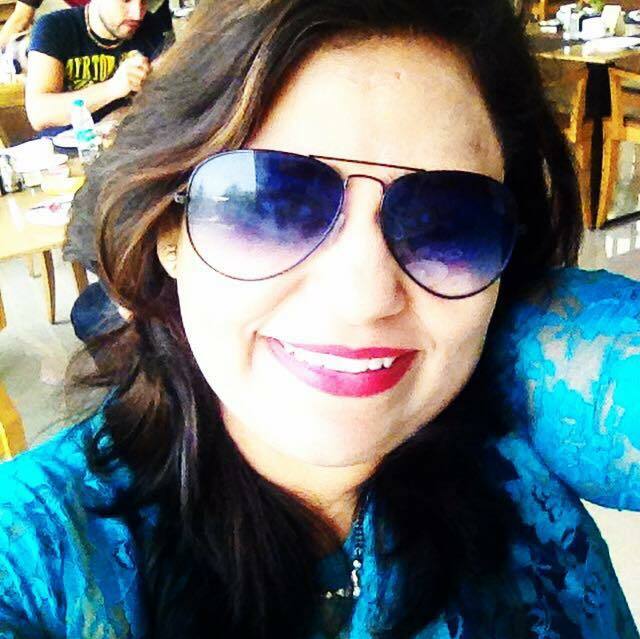 I then chose the people I will like to read and connect with on those subjects and was astonished how I could connect with them instantaneously ,share my opinion or seek advice without wasting my precious time searching for the right hashtag or finding the right group to post my query in. Another aspect that improved drastically was the visibility of worthy posts. As a writer we know in our heart, how good a particular piece of our writing has turned out to be and when it breaks our heart , when it does not garner the deserved response on the generic social media where a majority of the links often go unnoticed and unopened. Since AFFIMITY bonds me with people who have similar liking, it's almost guaranteed that they always go through my work and relate with it. Their honesty and candid feedback help me grow. Not only this they became a priceless aid in promoting my work for based on their interests in my subjects and their repeated advent on my blog. This I believe, in due course of time, improves my brand visibility and help me monetize my write ups. 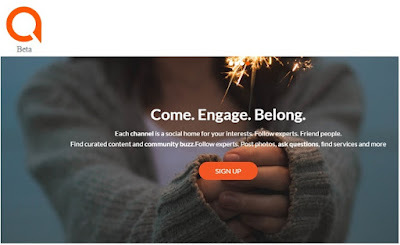 AFFIMITY thus for me is a EUREKA in the blogging community and one giant step in the right direction to bring about a more meaningful interest based Social interaction platform for the masses. It is extremely user-friendly and its mobile App is easily available too. It's a hands on tool for the bloggers to stay updated and contribute in the avenues they have chosen for themselves minus the unnecessary clutter (This also leaves us with more time to focus on our primary task of creating quality content). You can just upload your post there and just witness how it creates buzz. Nothing pleases our heart and soul to see ourselves on the leader-board there.